Ready for hot sunshine, kids out of school, and summer fun? Summer Adventure Camp registration is now open. This year camp will be offered in two-day sessions, determined by grade level. Please see the schedule below for appropriate dates. Programming will run from 10 a.m. – 3 p.m. each day. Each camper will receive a t-shirt and lunch will be provided on the second day. The cost for a two-day camp is $80 per child; Museum Members have a special $70 per child rate. Ask us about other Membership perks. 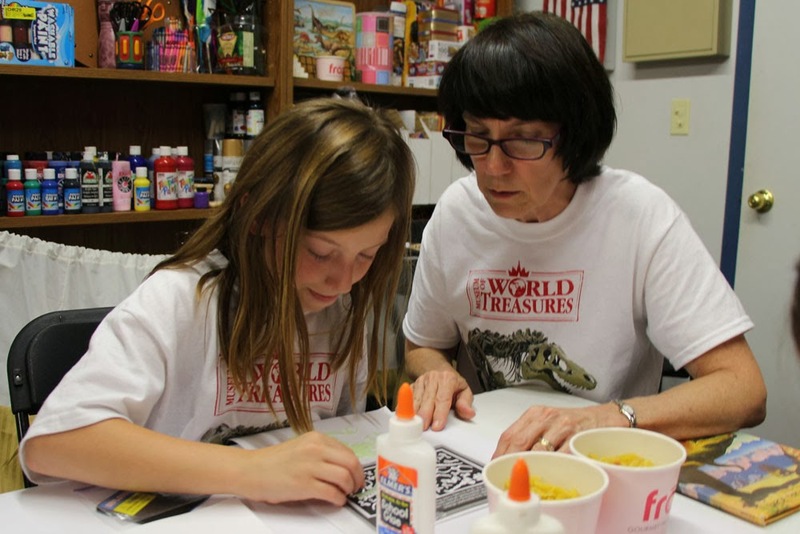 Claire Overstake works with a camper on a fossil craft. 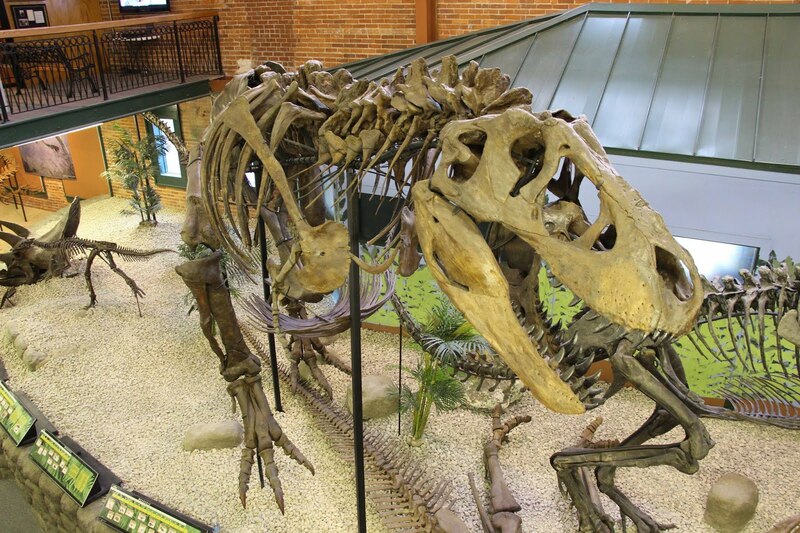 Campers will learn about paleontology in June with nationally recognized and award-winning science teacher Claire Overstake. Long-time educator Larry Riedlinger will return to teach about ancient civilizations in July. Museum staff will teach the popular Museum Apprentice Camp as a session for 6th – 9th grade kids. Apprentice Campers create, design, and place a new exhibit in the Children's Activity Center. Registration is now open. Please call the Museum at 316.263.1311 to enroll your child, or visit our website to print the registration form and permission form and mail with payment. Also take a look at our frequently asked questions. Hurry, enrollment ends May 16. 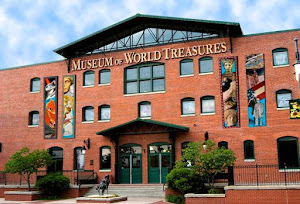 The Museum cannot guarantee availability of dates or camp t-shirts after this deadline. Each camp is a two day session scheduled from 10 a.m. - 3 p.m.